Courtesy a timely suggestion from @m.mcmillen and the arrival of the Hurricane Season down here in Florida... the last thing I want to have to contend with is a Dead Battery in my seldom used 2000 Chevrolet Silverado if it comes down to us having to beat a hasty retreat due to "very inclement weather". 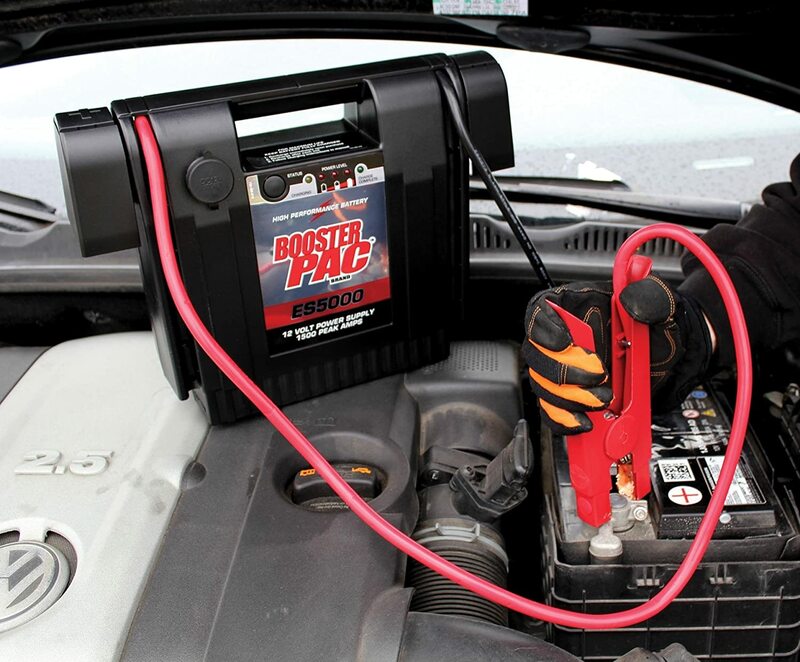 This On Sale Solar Booster Pac seems to be All the Rage when it comes to having one on hand that actually maintains a decent charge even when left for extended periods of time "On the Shelf... But Off the Charger" and is potent enough to Boost Start vehicles more than once on a single Charge. Good product, got two of them at work. Clamps are big and bulky and are a tight fit in some applications in tight spots but you wouldn't have any better luck with any others either in those few cases. Clamps also fall apart but that's after MUCH use. There's no firm attachment at the hinge, just plastic pin tabs. I was out the Garage this evening and while rummaging around looking for one thing... I found something else...(...isn't that always the case?...). Anyway... I dragged out an Orange Tool Box that I knew had something in it that I bought on sale way back when ...but never had the desire or occasion to use. When I popped the lock tabs and opened it... I was surprised that it was a 12 Volt Electric Screw Jack. HOWEVER... when used in combination with THIS robust Battery Pack... and by using the inexpensive Updated (3) Ton(6,600 Lbs) Version shown in the below listed Link... a much better choice for anyone interested for the Trucks and SUV lines... would make perfect sense. The best of both worlds is having BOTH of these items tucked behind the Back Seat for long road trips through "Parts Unknown" that could otherwise leave you stranded or at least very seriously delayed ...would be "The Bees Knees". What did you do to your GMT today?